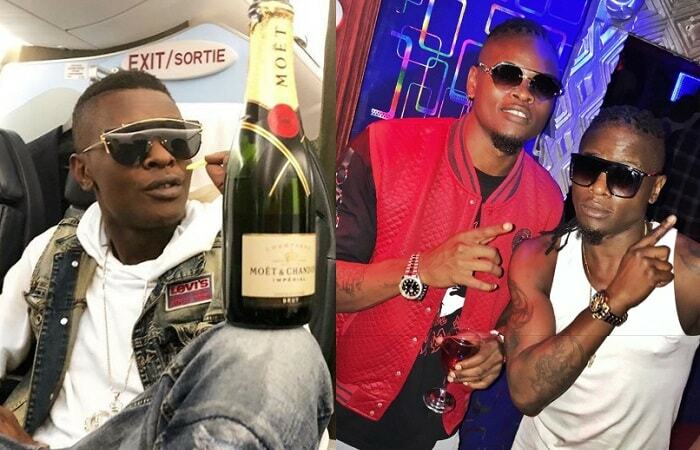 The Mayanja brothers, Chamleone, Pallaso and Weasel travelled to Rwanda on the same flight, but the trio came back on different flights and not seeing eye-to-eye. The Am Coming singers have ganged up against their elder brother and they are telling him that being legendary is something that should be left for the fans to decide, not otherwise. Chameleone and his other two brothers, Weasel and Pallaso set off for Rwanda, Kigali last week for the Iwacu album launch starring Rwanda's DJ Pius. All was well as they popped some champagne in the company of Weasel's manager, Chagga. It was a two day event that took place on the 3rd and 4th at Camp Kigali and Musanze Stadium respectively. 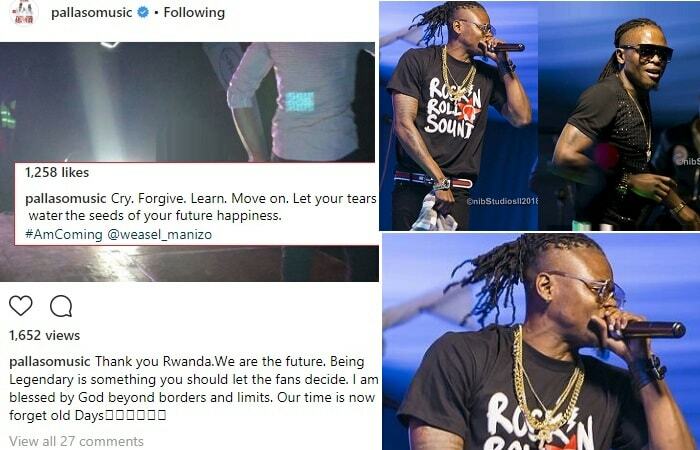 The event at Camp Kigali went on without any glitches, but the Musanze Stadium show had some issues that left Weasel and Pallaso not happy with their elder brother, Chamili. As it is the norm, the young artists perform before the old guards or the elders in the industry, so Pallaso hit the stage before Chameleone, the fans showed him too much love. At the time, the 'Mateeka' singer was still backstage sipping on his drink, but he pulled out and wanted to assume his session when Pallaso was still performing. The event organizers let Pallaso perform. It is said that Chameleone went and plugged off the sound, leaving Pallaso with no choice, but to leave the stage now that the mics were not powered. On going backstage, Pallaso met with Weasel who was equally bitter with the actions of the Valu-Valu star. Chameleone kicked off with his performance as the sound was being restored, no doubt, the fans cheered him up. On being done, the dad of six dashed to the car. Weasel and Pallaso joined him and the three were locked up in a bitter argument over what had just happened. 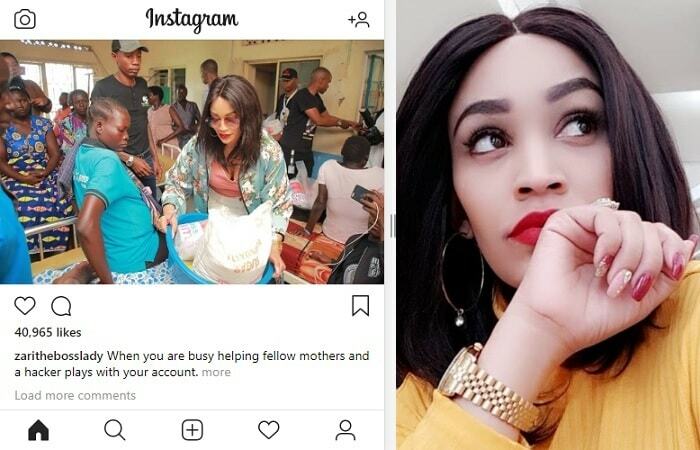 The situation was brought to order by the Rwandan mobile security officers who drove right behind their car to ensure they get to the hotel safely. "Cry. Forgive. Learn. Move on. Let your tears, water the seeds of your future happiness." "Thank you Rwanda. We are the future. Being Legendary is something you should let the fans decide. I am blessed by God beyond borders and limits, our time is now, forget the old days," Pallaso roared clearly assuring his big brother.